Having flatfeet is a common condition among both men and women, and while it’s typically painless, sometimes having flatfeet can lead to severe pain and discomfort. 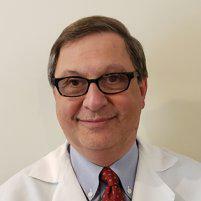 If you’re experiencing issues associated with flatfeet, make an appointment with Philip Messenger, DPM, PLLC, of West Side Foot Care on New York City’s Upper West Side. As a board-certified podiatrist, Dr. Messenger helps you find a lasting solution for flatfeet. To learn more, call the office or schedule your appointment using online booking. Flatfeet can also contribute to problems in your ankles, knees and lower back because it can alter the alignment in your legs. An injury to the tendon on the inside of the leg, ankle, and foot called the Posterior Tibial tendon can cause and allow the flatfeet to worsen due to weakening or tearing not allowing it to support the arch. When do flatfeet require medical attention? This condition can be treated if you seek help early on. Gait analysis-An examination of your feet, and their position with walking and or running. Biomechanical examination-study of the body’s function and movement and its effect on the lower extremities. MRI or ultrasound-Used to evaluate soft tissue injuries. Initially, Dr. Messenger can apply a special sports taping which can relieve stress on the arch. Custom orthotics provide permanent support to the foot and ankle. They are measured in the office by a 3-D scanner which provides accuracy and proper fitting. If the flatfeet is severe or caused by an injury to the tendon on the inside of the foot/ankle a custom fabricated brace can be utilized. Dr. Messenger can refer you to a physical therapist that will instruct on stretching exercises and strengthening of the muscles of the foot and leg. If you have flatfeet, schedule an evaluation and get started on treatment at West Side Foot Care. Book your appointment online or by calling the office today.